Awarded by METI to receive "Grants for Demonstrator Project for Virtual Power Plant Utilizing Consumer Energy Resources (VG2 Aggregator Project)"
TOKYO, June 7, 2018 - (JCN Newswire) - Tokyo Electric Power Company Holdings, Inc. (TEPCO), TEPCO Energy Partner, Inc., TEPCO Power Grid, Inc., Hitachi Systems Power Service, Ltd., Mitsubishi Motors Corporation (MMC), SHIZUOKA GAS Co., Ltd. and Hitachi Solutions, Ltd. - have been selected by the Ministry for Economy, Transport and Infrastructure (METI) to receive grants under METI's FY2018 Sustainable open Innovation Initiative (SII) to help fund "A Demonstrator Project for A Virtual Power Plant Utilizing Consumer Energy Resources (V2G Aggregator Project)". Commencing today, the Project aims to build a vehicle-to-grid (V2G) system, and through this a business model that utilizes the electricity storage capabilities of multiple EV/PHEVs to regulate power demand and supply between the grid and electric vehicles. Japan is promoting the adoption and expansion of renewable energy sources as a measure to reduce greenhouse gases. However, the rapid adoption of solar power and other renewable sources has made apparent a number of problems that impact the stable running of the power grid, these including the fluctuations in output and the generation of surplus power that renewable sources can cause. Stabilizing the power grid requires the use of thermal power but this incurs costs in owning and maintaining such power generating plants. For this reason, projects to create virtual power plants (VPP)*2 are being promoted as a new approach by society which provides, at a low cost, the sustainable adoption of renewable energy sources and power grid stability. Against this backdrop, the hopes are that the batteries of EV/PHEVs, ownership of which is expected to grow rapidly in the near future, can be effectively utilized as a VPP resource. There are, however, several problems that must be solved first, including: the establishment of V2G technology that utilizes large numbers of EV/PHEVs; upgrading of related systems; and ensuring grid stability is compatible with EV/PHEV mobility needs. The seven companies listed above will work to establish a V2G business model, the objective of which will be to encourage sustainable adoption of renewable energy sources and of power grid stabilization. In FY2018, the companies will build the testing environment and conduct validation testing on the results produced using the V2G system. The V2G Aggregator Project is a business model for making V2G function in our society and for the solution of energy and environment-related problems by promoting the adoption of renewable energy sources. The seven companies aim to establish the V2G aggregation business by building systems that make effective use of EV/PHEV batteries. 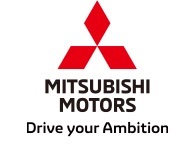 Demonstrator Project sites will include the Mitsubishi Motors Okazaki Plant in Okazaki City, Aichi Prefecture, and the Shizuoka Branch of SHIZUOKA GAS. Diagram 2: Scope of demonstration system to be built in FY2018. Hitachi Systems Power Service, Ltd.
(2) Virtual Power Plant (VPP): A cloud-based distributed power plant that uses information technology to aggregate the capacities of different distributed energy resources and function as if it were a physical power plant.